Motion Labs, also known as Motion Laboratories, is a New York-based producer of electrical distro equipment, including distro boxes and cables. You can use this gear for all your stage and theater applications. The brand is well-known for manufacturing versatile, flexible distro boxes that can be configured using a convenient modular design. Motion Labs distro boxes consist of a combination of input panel, pass through panel, output panel and in certain configurations also include panels with breakers. This equipment reliably powers all your stage, theater and event lighting via distro boxes, cables and connectors. BarnDoor Lighting specializes in supplying industry professionals with Motion Labs Power Distribution gear, including stringer boxes. 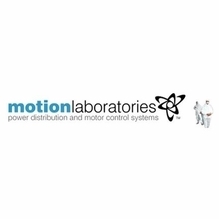 We offer some of the best Motion Labs auxiliary power distribution options. Motion Labs stringer boxes are designed to work as an extension or branch circuit from the main system, and can be connected in line to increase application flexibility. We offer non-breakered and breakered versions to suit your specific needs. With over 20 years of experience in the film and video industry, BarnDoor Lighting is the right choice for all of your lighting, grip and electrical equipment. Contact us at 1-888-276-3667 or info@barndoorlighting.com with your questions.